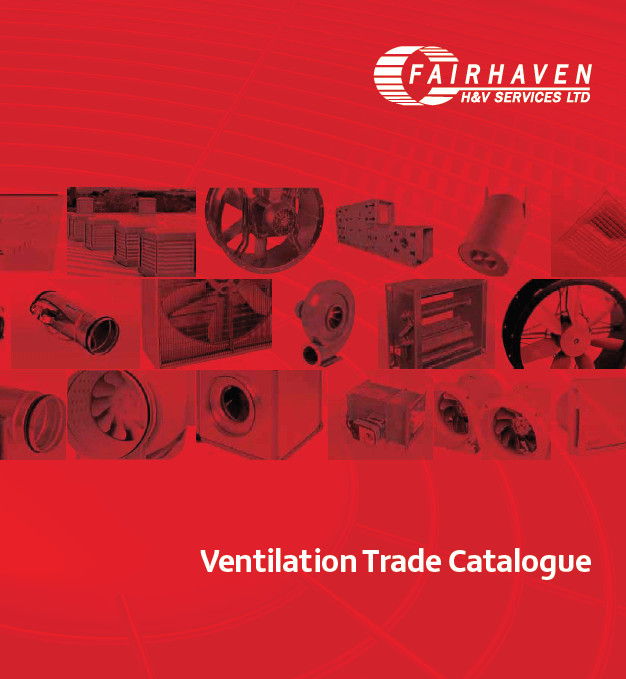 Our latest Ventilation Trade Catalogue is now out! 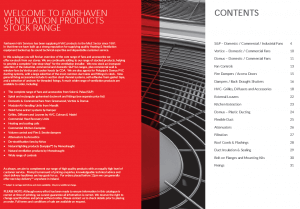 This handy guide provides designers and installers with information on the core range of ventilation equipment stocked at our Moira warehouse. The range includes domestic, commercial and industrial fans by S&P, grilles & dampers by HVC and plastic ducting by Domus. Also included is our market leading range of GRP roof cowls, attenuators by Acoustica and commercial wall fans by Vortice. Accessories include a varied range of controls, duct insulation, flexible ducting, fixings, sealing products and access doors. The new catalogue contains list prices of all products, allowing trade customers to quickly check prices and produce estimates. 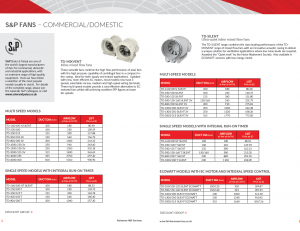 We are pleased to be able to offer reduced prices on several of our product ranges, including air valves, access doors and single blade dampers. In addition to lower prices, we are now stocking increased quantities of core products such as inline fans, flexible ducting and air valves, to ensure we are better able to respond to customers requirements. In the catalogue products are grouped into a series of discount codes to make it easier to apply customer specific discounts. We will be distributing print copies to all existing customers over the coming weeks, but if you would like to request a print or electronic copy, please contact the office and one of our sales representatives will be in touch.